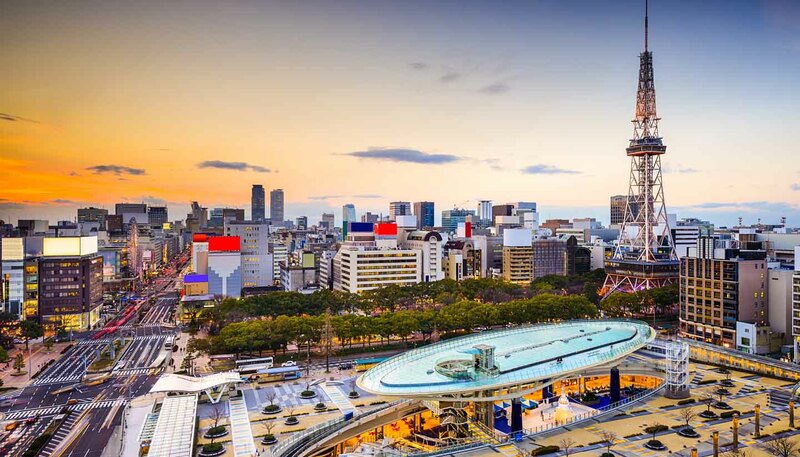 With its stunning modern architecture and glitzy department stores on display everywhere, it’s hard to miss the fact that Nagoya is one of Japan’s wealthiest cities. Handily situated midway between Tokyo and Osaka, it also has excellent transport links, making it the perfect base for exploring central Japan. Although Nagoya is an important manufacturing and industrial centre (several major companies such as Toyota and Noritake are based here), it also has a wealth of sights to keep visitors interested. The top spot as far as locals are concerned is Atsuta Shrine, the second most venerated place in the country. The shrine is said to contain over 4,400 national treasures, which cover its more than 2,000 year history, including the Kusanagi sword, one of the three imperial regalia of Japan. Around 70 festivals take place here every year, bringing visitors flocking in. Equally grand is Nagoya Castle, originally built in 1612. Much of it burned to the ground during bombing raids in WWII, but it was restored largely along original lines in 1959, but with some modern touches added such as lifts. Be sure to check out the magnificent golden tiger-headed carp that sit on the castle roof, they are the symbol of the city. One sight that pays homage to Nagoya’s importance as a commercial hub is the Toyota Commemorative Museum of Industry and Technology. This large museum contains several vast halls that are packed with old machinery and historic vehicles.